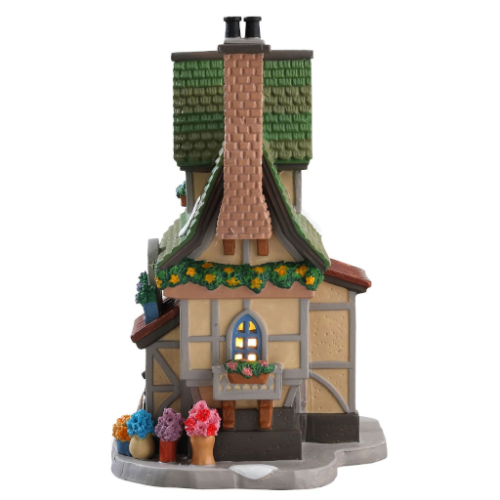 Lemax new 2017 The Flower Patch - Flower house & Shop. 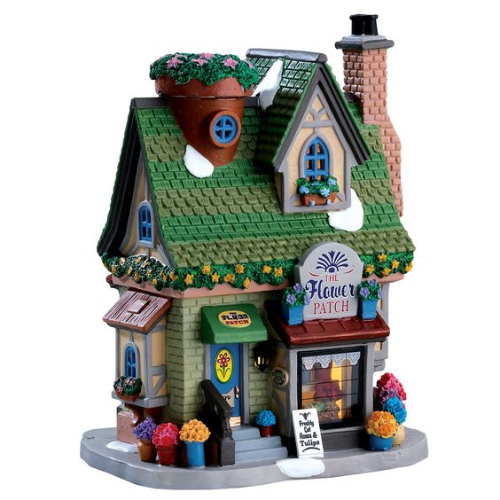 This is a great collectors piece with so much detail and lights up beautifully out of the little windows and the shop front. The Flower Patch is full to the brim with colourful bouquets, even the street is lined with buckets of flowers. Through the window you can see all the choices you have if you want to buy a special someone a bouquet they will remember. Perfect for a fairy or miniature garden or as a great display piece on its own. High quality lighted building from the Caddington range. Requires 3 “AA” batteries. (not included). 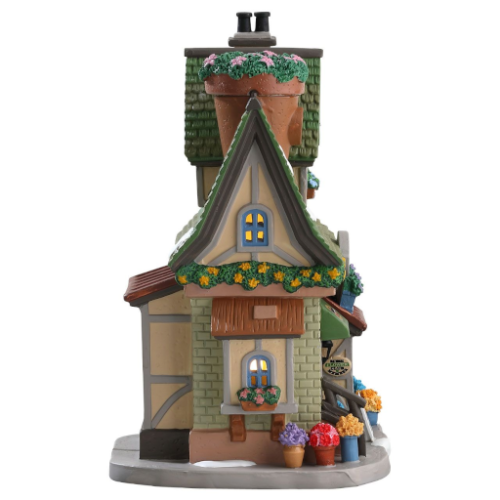 All our Lemax village accessories are very collectable and made with great detail. Please note - Each item is hand painted . It is made to look rustic and hand panted and each piece may vary in colour as they are made to look hand finished not factory produced. For indoor use only, but you could spray in our weather proof varnish and keep the battery pack dry in a plastic bag and use outside if you wish.